The Simonis family has cultivated vines in Ammerschwihr since the 17th century. 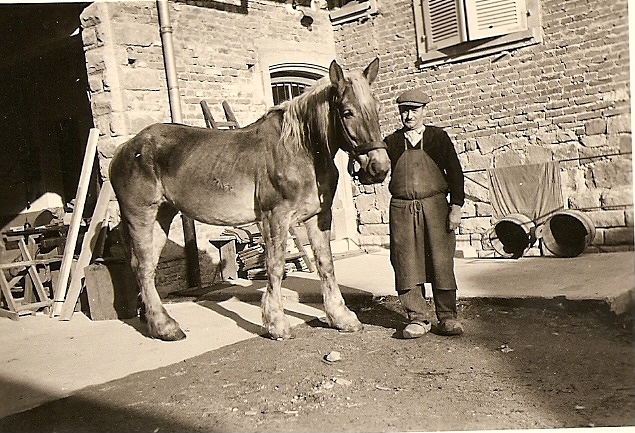 Joseph, Etienne's grandfather, oversaw the modernization of the cultivation work, abandoning horses with the arrival of tractors. 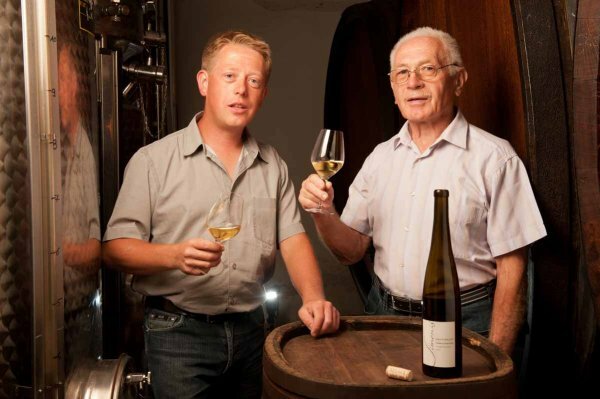 His father René founded his own vineyard in 1969 on plots inherited from his father. In 1975 he built his own premises at 2 Rue des Moulins, now the registered address of the company. Immersed in the world of wine since his birth, Etienne Simonis took over the management of the vineyard in 1996 when his father René retired. Even at the age of twenty, Etienne already had a clear vision of his future quality objectives. Combining know-how passed on by earlier generations and experience acquired during his studies in Beaune, he made the strategic decision to increase his plot areas while reducing their yield, as a means of achieving excellence. Now working with his companion Katia and still calling on the precious assistance of his father, Etienne is steering the family vineyard in the chosen direction.